Today, we're searching for turtles. 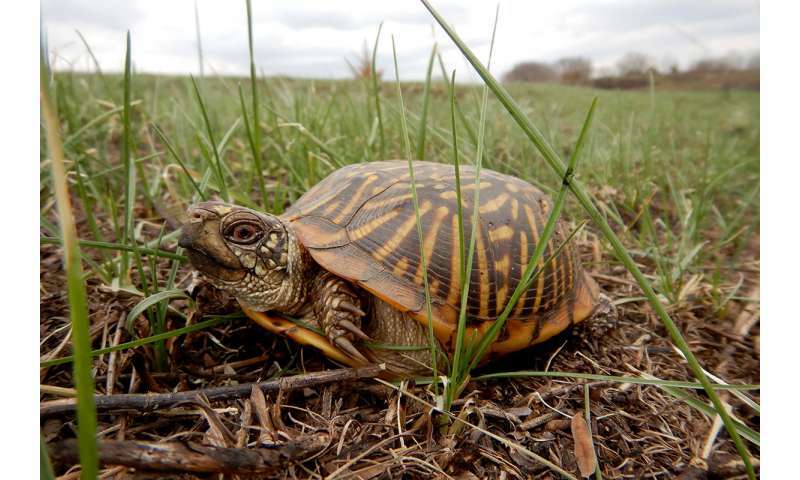 We're surveying two of the largest known ornate box turtle sites in Illinois with the goal of finding, measuring and marking as many as possible. With enough recaptures, we can calculate how likely it is for an individual turtle to survive from one year to the next and determine population size. This helps us understand whether the turtle population is stable, increasing or decreasing in size. The numbers tell us whether the turtle population is at risk of extinction. Fortunately, John Rucker and his Boykin spaniels are helping us find the turtles. The spaniels are working dogs, not pets. Rucker discovered his dogs' special talent when one brought him a box turtle in its mouth. Today, his team of dogs helps biologists find these once-common but increasingly rare chelonians for study. As we walk through the knee-high grass, the dogs carry on ahead of us, their noses to the ground, brown bodies nearly concealed. Whenever a dog finds a turtle, it picks it up in its mouth and carries it to John like a precious toy. The dog won't let anyone else take the turtle out of its mouth. John praises the dog and then hands the turtle to one of us so we can begin recording data. To keep track of individual turtles, we notch the shells, cutting little pieces out of the sections of shell, called scutes, that border the outer edge. This allows us to assign each turtle a unique identification code. The scutes are numbered from one to 12 on left and right sides. By notching different combinations of scutes on each side of the shell, we can potentially identify thousands of individual turtles. 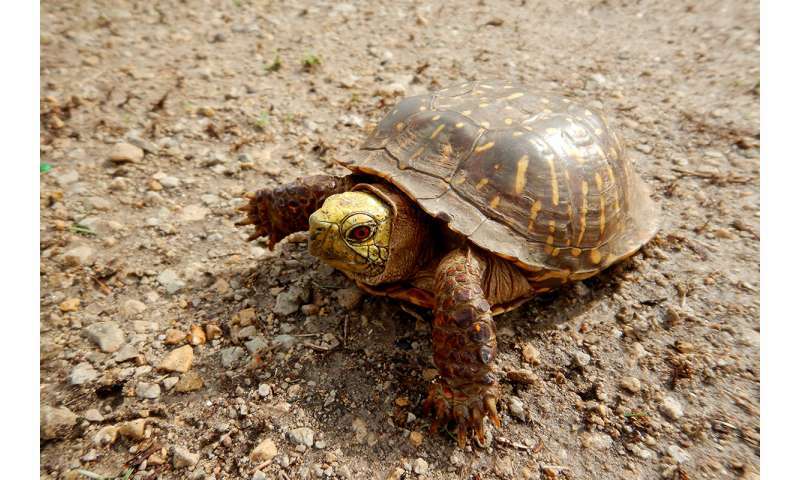 The notches don't harm the animals, and when done properly, stay with the turtle for the rest of its life.